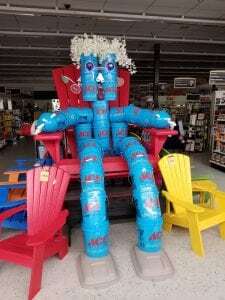 Ace Hardware bucket displays are up…and awesome! 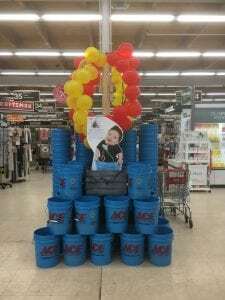 Check out a couple of bucket displays at our local Central Illinois Ace Hardware stores! Get to Ace Hardware this weekend and purchase a $5 bucket. All proceeds benefit the kids at HSHS St. John’s Children’s Hospital and you get 20% of anything you can put in the bucket!